Large mens traditional filigree Celtic cross in stainless steel with gold-plate finish. 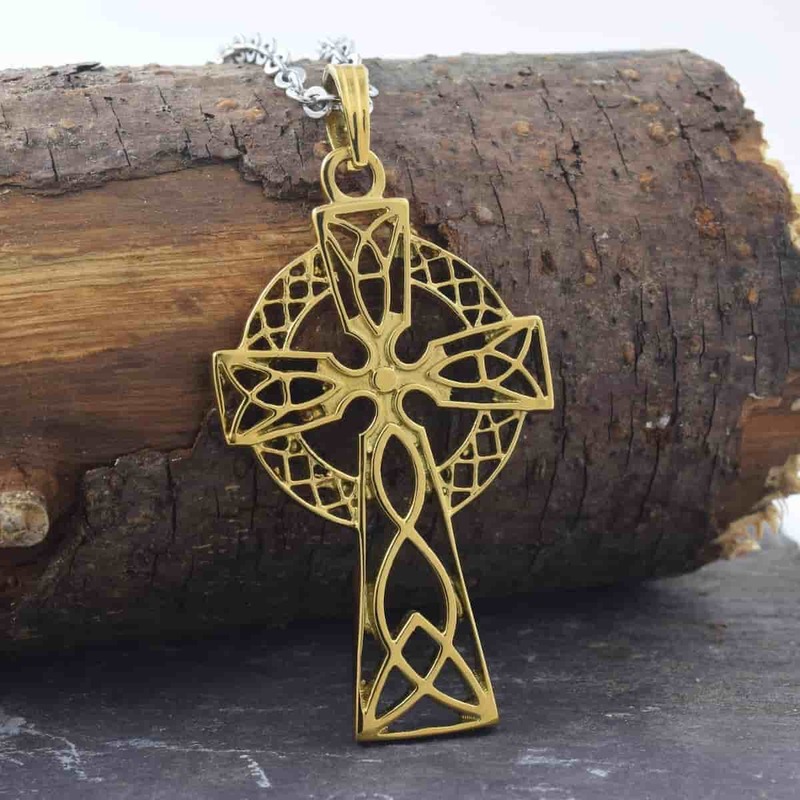 This heavy large men’s gold-plated Celtic cross is built to last. Measuring 33mm wide x 54mm high (not including bale) and 2mm thick, the traditional filigree Celtic knot design has a gold-plated finish and comes fitted with a rugged 20 inch stainless steel chain. Free shipping from Ireland.